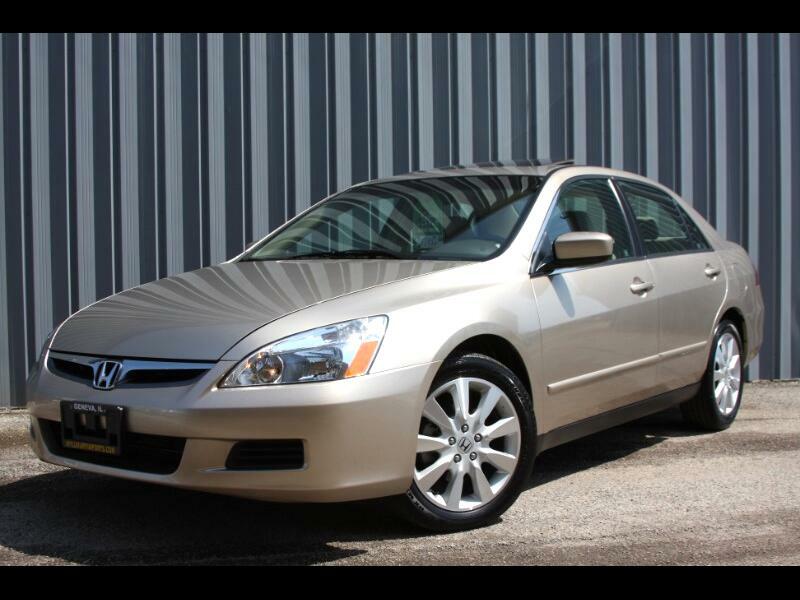 Used 2007 Honda Accord LX V-6 Sedan AT for Sale in Geneva IL 60134 Luxury Imports Inc. Yes, Only 15537 original miles, one owner car!!! Perfect car!!! Runs like new, drives like new, feels like new, looks like new, still has a new car smell!!! Runs and drives great, shifts smooth, good brakes and tires, super clean inside and our and undercarriage, none smokes, no paint work, all vin# tags present, absolutely beautiful, must see!!! For more info, any and I mean any questions you may have please call 331-248-8175, text to 773-934-9599. For 100 detailed photos go to www.myluxuryimports.com 2 keys and books.